Earn $7.05 in VIP credit (705 points)What's This? 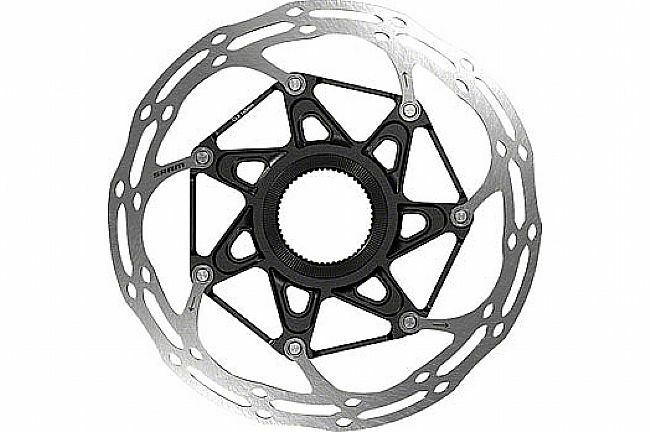 The CenterLine X rotors are the lighter-weight version of SRAM’s quiet, smooth and robust CenterLine rotors, featuring a two-piece design with an alloy center and steel brake track. With vents in the steel brake track, the CenterLine X efficiently disperses heat for more consistent, reliable braking. Two-piece construction mates steel brake track to an alloy center for efficient heat management. Available in: 140mm, 160mm, and 180mm. 6-bolt version available as well. Claimed weight: 86g (140), 102g (160), 125g (180). Centerlock is the bomb. These dissipate heat very well, now squeaks. What else could you ask for?